July is a month full of great events all throughout Hendricks County. From fireworks to parades to festivals, there's a little something for everybody on the schedule. 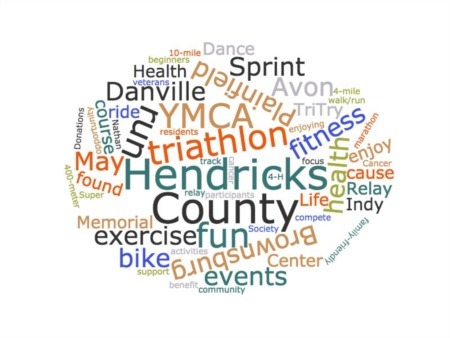 Here's a look at some of the top upcoming events for July in Hendricks County. A daily event including plenty of fun, this celebration will end on July 4th with a beautiful fireworks display. It also includes plenty of games, rides and food. The event is being held at Arbuckle Acres Park and the parade will be through downtown Brownsburg on July 4th. Fireworks will begin around 9:30pm on Tuesday, July 4th but the celebration starts at 10am on Independence Day with the parade. There's plenty of fun to be had throughout this entire event and it will provide more than just fireworks. Another choice in Hendricks County for fireworks will be at the Danville Community High School. Admission is free and you will want to show up early with blankets and chairs to get the best spots. The show will start at 9:30pm. Come out with a picnic and your chairs to enjoy a concert put on by the Hendricks Symphony Orchestra and Chorus. It will be followed by fireworks on July 4th and will provide plenty of musical fun. The event will happen at 7:30pm at Hummel Park and it's free to get in. A huge event for Hendricks County every year, this four-day celebration will include plenty of inter-tribal singing, dancing and workshops. It will also provide a craft contest, parade princess contest and a kids' powwow. The event will have the popular tipi village as a part of it and plenty of food and craft vendors will be on hand. The National Powwow will be held at the Hendricks County 4-H Fairgrounds & Conference Complex. A fun event put on by the Indianapolis Symphony Orchestra, this one will happen at Ellis Park at 8:15pm. The price of admission is $15 to $20 and the event will provide a wonderful concert for all to enjoy. Genevieve will be shown for the Dinner and a Movie night, which will be held at The Royal Theater in Danville at 8pm. The admission cost is free for all British car owners and you can get a free Jr. Combo, as well. There are three restaurants serving dinner before the movie, as well. 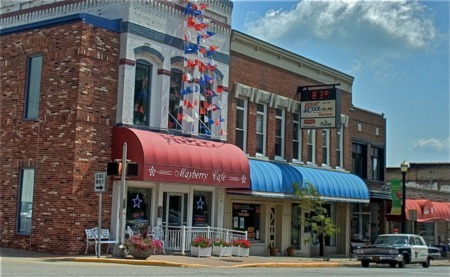 These include Franks' Place, Diesels and Mayberry Cafe. Held at Arbuckle Acres Park in Brownsburg, this event will include over 120 arts and crafts vendors, a food court, family entertainment and a children's activity area. It's one of the most popular summer events with plenty to offer. The cost to get in is $3 for those 12 and up and free for those under 12 years of age. The event starts at 8am and runs until 3pm. A fun event with plenty of films to enjoy, this festival will provide a look at unique short films. It will be held both days and Sunday is family day with all children 12 and under getting in free with a paid adult. The event will be held at multiple locations and the cost is $5 per person. It will run from 4p until 7pm on both days. The highlight of July, the 4-H Fair is back with plenty to offer. It's the place for animal lovers, kids, sports fans and everybody else enjoying fun. The fair will be held at the Hendricks County 4-H Fairgrounds & Conference Complex. This fun arts festival will feature dance, music and theatrical performances for everybody to enjoy. There will be artist demonstrations and a children's zone, along with food trucks, craft beer and wine. All proceeds will go to benefit the Plainfield community. This event will be held from 12pm to 9pm at Hummel Park and it's free to get in. There are several great events to choose from throughout Hendricks County for July. Make sure to mark your calendar now so that you don't miss out on any of the fun events coming up.